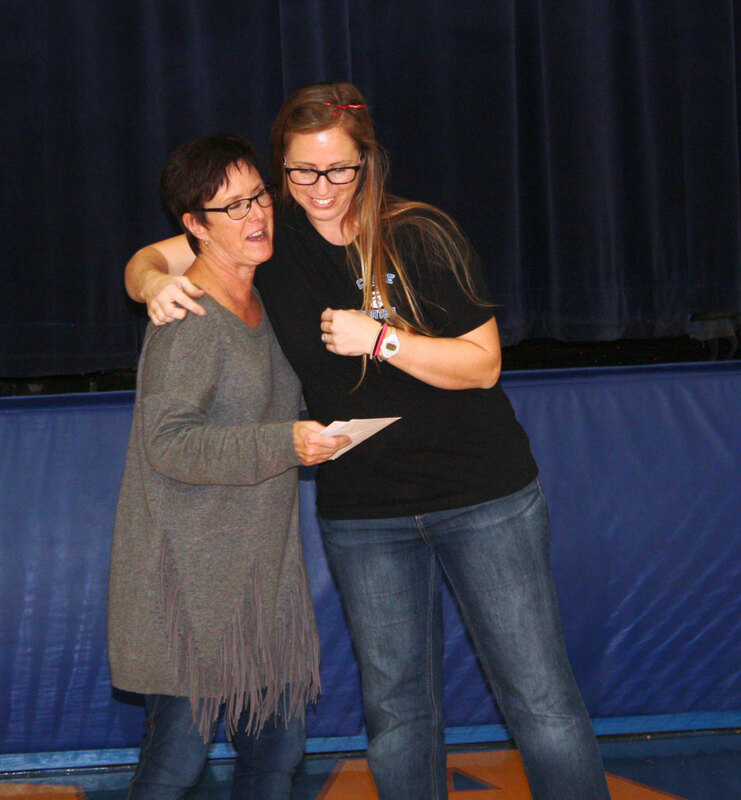 Linda Jensen, Crane Elementary Counselor, was recognized at the quarterly assembly on Friday, December 21. Through Jensen’s efforts, over 100 students received haircuts, make overs and clothing ahead of the elementary Christmas music program. Above, Jensen, left, is hugged by Michelle Cope.